This has certainly been a busy few weeks for all things IR35. We have new IR35 tribunal cases, the consultation for reforming IR35 in the private sector and some very interesting additional documents, writes IR35 expert Kate Cottrell of status advisory Bauer & Cottrell. One of those documents is from HMRC publishing research they have long-been relying on to support their view that the April 2017 rules for the public sector are a huge success. A closer look suggests that actually, all is not what it seems -- and so the trick for many affected industries will be to ensure that government ministers are not under the same illusion. This research was published by HMRC/HMT alongside the consultation document on May 18th 2018. This is despite HMRC telling the IR35 Forum that the expected publication time was early January 2018. So it has been a long wait for the document upon which HMRC has relied to enable it to dismiss the arguments of external IR35 Forum members and any other claims of “chaos” engulfing the entire implementation of the new rules in the public sector. HMRC reckons it had “no evidence” of contractors being forced to work via umbrella companies; increased rates, blanket IR35 assessments, contractors quitting or problems with CEST. If you were seeking to establish that the new rules (introduced in April 2017) are a resounding success, what would you do? Would you include in the research those public bodies who did not actually implement the new rules for many months? Would you include the types of contractor who are likely to fall outside IR35? Well if you were being transparent, ‘Yes’ you would. Also bear in mind, because it’s not being emphasised enough; this research claiming the rules’ implementation to be a resounding success concentrated on social work, medical roles, public administration and defence. The researchers for HMRC carried out 108 interviews -- out of a possible 50,000 bodies affected. A ‘drop in the ocean’ doesn’t ever cover it. As with any research, it is important to see the details of the methodologies and sampling used. At point 3.1 of the document it states “This chapter gives a brief overview of the sampling and methodology used for the study. More information can be found in the technical annex.” However, the annex was not published at the time. I have asked HMRC to obtain or even just see the annex but I’ve heard nothing yet in response. It is only possible to decide the validity of the research once we have all the information. Published alongside both the IR35 reform consultation document and the research, was a HMRC/HMT-authored factsheet. In my 15-plus years involved with IR35 cases, this factsheet represents an absolute first. Why do you need a factsheet claiming to dispel all the “rumours” regarding the public sector reforms? This too is riddled with “evidence suggests” or “evidence does not support” and is again all based on the very same research. Yes, the research that ‘more information’ is not available about. The factsheet talks of “most” public authorities and “the majority” of public authorities. But what about the other 49,000 affected? The only comment in the factsheet on the CEST tool is that the “rumour” is that the tool is biased in favour of employment. But this is not, and never has been the rumour! The ‘rumour’ – actually the consensus in fact, is that the tool is not fit for purpose, not least because it does not include mutuality of obligation. The example given in the factsheet of Jemima who “would be considered as an employee for this contract,” is a shocking one from HMRC/HMT. It makes no mention of contracts or gives any detail of the working practices. There are insufficient facts stated to enable the claim that this is a clear cut inside IR35 situation. Ironically, the issue of substitution/personal service has not been addressed, and if the cited manufacturing firm agreed to substitution, then the case would sail through the CEST tool with an outside IR35 result! A result that HMRC would stand by! 2018 has now seen four IR35 cases (the Christa Ackroyd case, MDCM Ltd, Jensal Software Ltd and now ATDS Ltd). 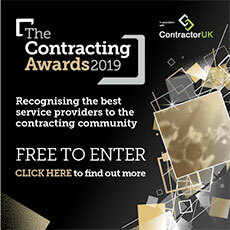 HMRC has won just one of these, versus three wins for contractors – the taxpayer. All of these cases were known to HMRC prior to issuing the consultation. The IR35 case of Armitage Technical Design Services Limited (ATDSL) has just emerged. It was not published at the time, as no request was made for full written findings. This is an IR35 case that the contractor won. It was heard on November 15th 2016 with the decision released on January 27th 2017. I wonder why HMRC did not mention this case at the IR35 Forum meeting in July 2017? This case is also extremely unhelpful for HMRC regarding MOO and of course unhelpful once again for the CEST tool. Judge Rupert Jones said at the tribunal: “The mere offer and acceptance of a piece of work does not amount to mutuality of obligations in the context of employment status”, contrary – entirely, to HMRC’s view. My concern is that we can argue until we are blue in the face about statistics and how HMRC’s figures for non-compliance have dramatically changed over the last few years, and the rights and wrongs of its recently published documents. But to what end? The one hope to a positive answer to that question is if everyone affected by these “inevitable” rule changes responds to the consultation, so all of you in the private sector -- contractors, agencies, umbrella companies and all “fee -payers” and potential fee-payers. Finally, for anyone reading this who was in the public sector in 2017/18, who is holding a 2017/18 P60 and who disagrees with an ‘inside’ IR35 decision made on their behalf -- there is nothing to stop you from applying now to HMRC for a NIC refund -- now. Let’s just hope that this advice won’t need repeating in 2019/20 to those of you in the private sector.